Gordon Smith (left), a longtime lobbyist for the Maine Medical Association, was named the state’s director of opioid response by Gov. Janet Mills on Thursday. 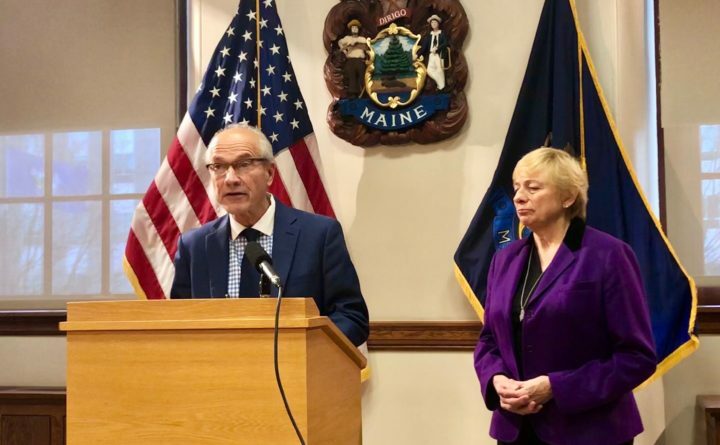 AUGUSTA, Maine — A longtime lobbyist for Maine doctors and public health advocate was introduced Thursday as Gov. Janet Mills’ pick to manage her new administration’s response to the state’s opioid crisis. Gordon Smith of East Winthrop will be the director of opioid response under the Democratic governor. In Mills’ inaugural address, she said her choice for the new position would “marshal the collective power and resources of state government” to stem the crisis.